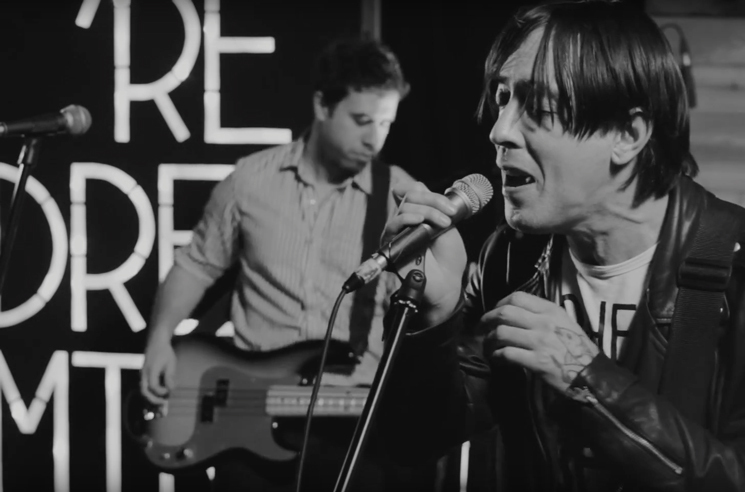 After returning with Cry Cry Cry late last year, Wolf Parade have shared a new live video for album single "You're Dreaming." Directed by Raymond Knight, the black and white clip was recorded live in studio and has the feel of a late night television performance. You can take in the band's unbridled energy in the player below. Wolf Parade have also announced a series of new tour dates, including a U.S. run with Japandroids. While there are no dates in Canada, you can see all Wolf Parade's tour dates below. Cry Cry Cry is out now through Universal/Sub Pop.